U.S.Art Company is the nation’s largest art handling company. We handle the finest art and antiques in the world. We have offices across the country and are looking for top talent to fill various positions. We are especially looking for people that understand what it means to be a team player, motivated and willing to learn. We offer competitive wages (based on experience), bonuses, sick/personal time, paid holidays, health insurance, 401k and Profit Sharing. If you want to work in a dynamic and energetic work environment with great teams and a company that rewards success, we encourage you to apply. Please review all of our open positions below and applicants can click “Apply Online” below to fill out an application and submit your resume. As an Operations Manager Trainees, you will be responsible for scheduling, routing, staffing and supervision of our National Long Distance Trips. Strong people skills are a must with direct customer contact on a day to day basis. 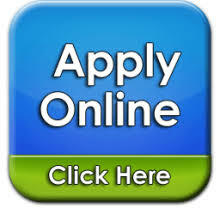 Qualified applicants should submit a Cover Letter and Resume by clicking Apply Online to fill out an application. The crater / art handler candidates must be highly motivated, detailed oriented, team players with some wood shop experience. This is an entry level, hourly position. This position would include working in the crate shop when needed as well as working with our art handling and warehouse teams and operating company vehicles. Will train the right candidate. – Pass a pre-employment drug test. – Have a valid driver’s license. – Professional appearance and demeanor. CDL A and B Driver(s) / Art Handler – Dallas, TX. We are currently seeking Full-Time CDL A & B drivers to transport fine art / antiques nationwide. Long distance trips involve 2 & 3 weeks OTR w/ partner. All expenses paid along with excellent pay per mile, stop rate bonus and benefits. When not OTR local work is available. Some packing exp. a plus but not necessary. We are looking for smart/ hard working individuals who want a place to “hang their hat” and be part of a growing industry / company with growth potential within. Starting average salary from $58-$68k per year. We have exciting Nationwide opportunities for full time employees to transport goods inter and intrastate, at all of our 8 offices. Long distance trips involve 1-3 weeks over the road. We offer excellent pay per mile along with pay for each stop! 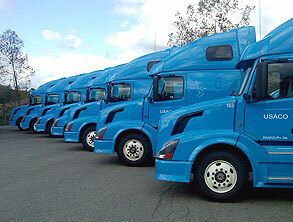 We seek CDL experienced drivers and CDL Permitted drivers willing and able to learn and travel. Previous packing experience a plus. Immediate openings for full-time art handler/installer/craters.Specialized training is provided. Fun & interesting work with great teams and a dynamic company that rewards success. – Have driver’s license and own vehicle for varied start times based out of Randolph, MA. – Some out of state travel – company vehicles provided. – Ability to work on ladders and with a variety of power tools a must. Hourly position with opportunities for overtime. The art handler/prep candidates must be highly motivated, detail oriented, team players with prior experience at a museum, gallery, or other art handling company. An hourly position, 5 days a week. Knowledge of best practices for wrapping and packing 2-D and 3-D objects. Ability to select proper archival and other packing materials depending upon the medium, surfaces, condition and fragility of a particular work. Know how to pack a slat crate, travel frame, shadow box, slipcase, cavity pack, and standard crating techniques. Know how to properly wrap, load, and strap artworks within a truck to keep them safe in transport. Prepare condition reports. Install artwork using various hardware and in changing settings.